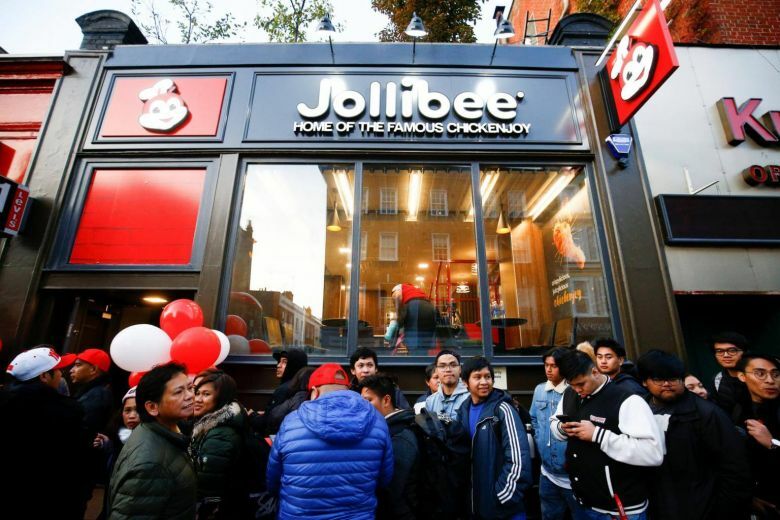 LONDON (PHILIPPINE DAILY INQUIRER/ASIA NEWS NETWORK) – The Filipino worker began his chilly wait outside the doors of a Jollibee 17 hours before its opening last Saturday (Oct 20), eventually fulfilling his daughter’s “dream”, as he became the first customer of the Philippine fast-food giant’s first store in Britain. Mr Michael Sison, a balloon artist who works part time cleaning homes, said the experience was “history and I wanted to be part of it”. Mr Sison did not get a wink of sleep during the long wait, but he said it was worth it. “The time went by quickly. We met new friends,” he said. Those friends were mostly Filipinos, of course, and some of them arrived at the queue with children in tow – one as young as seven months – a good seven hours after Mr Sison. Some camped out and braved the British capital’s autumn chill. Some proudly wore shirts, jackets and leggings emblazoned with the Philippine colours. Others sang the national anthem. But the red bee was the rock star as hundreds of people took pictures with the mascot. The queue snaked around four blocks at Earl’s Court in London, a known hub for Filipino workers and expatriates and which hosts several Philippine bank branches and buffet restaurants. 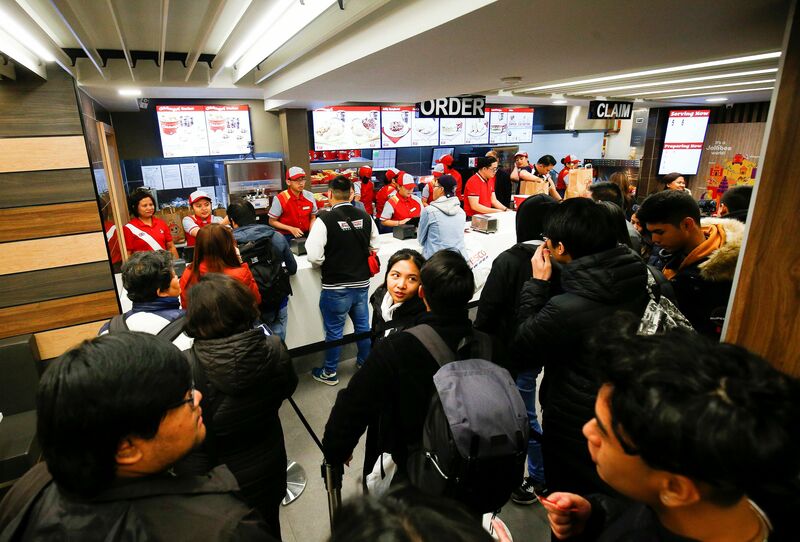 It is this kind of dedication to what is Filipino, and the fact that Filipinos are everywhere, that fuel the chain’s aggressive bid to become one of the top five restaurants in the world by 2020. “Today, we are at No. 11 or 12, depending on stock price. 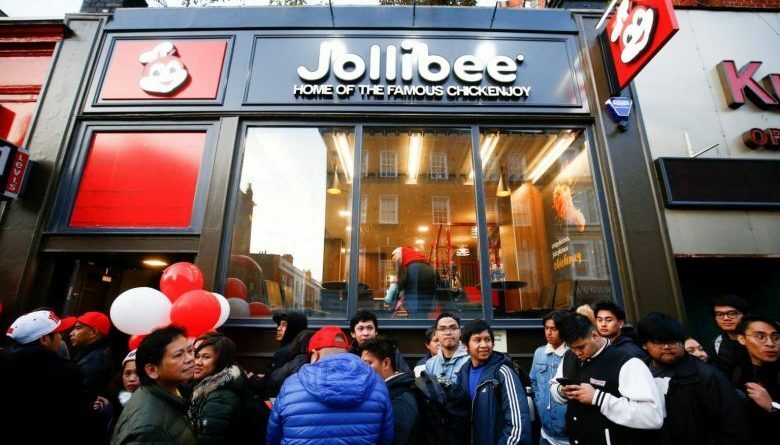 To achieve that dream, we will require an aggressive expansion coming from strong organic growth and strategic acquisitions,” Mr Ernesto Tanmantiong, chief executive officer of Jollibee Foods Corp (JFC), said in an interview with reporters covering the opening of the company’s first British branch. The branch, which opened last Saturday (Oct 20) at Earl’s Court, already signals an aggressive JFC expansion in Europe. 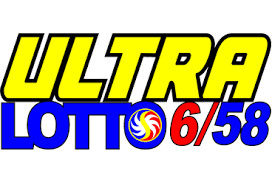 Mr Tanmantiong said the company would be opening 50 stores across the continent in the next five years, half of which would be scattered across major British cities and the other half in Spain and Italy. “We believe we can be successful in the UK because of two factors: We know our flagship product is Chicken Joy… and the UK is the largest fried chicken (consumer) in Europe,” said Mr Dennis M. Flores, JFC president and head of international business in Europe, Middle East, Asia and Australia. 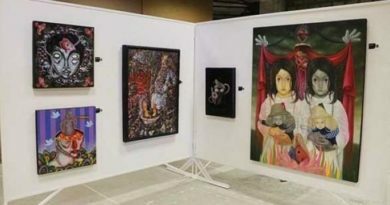 With a target schedule of “a little bit longer than two years”, the company seeks to eventually generate half of its revenues outside the Philippines, Mr Flores said. While expansion could be enhanced by a mix of financing options, including internally generated funds, JFC also intends to offer the flagship brand for franchising “as part of a medium-term plan”. 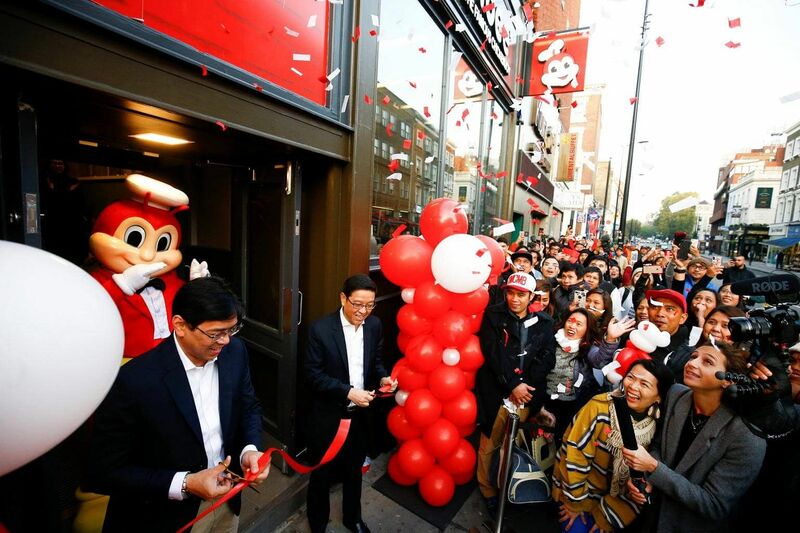 from the newly opened store in Britain, Jollibee will also have a soft opening in Manhattan on Saturday (Oct 27), in Malaysia before the end of the year, in Guam by next year, and in Australia and Indonesia by 2020. 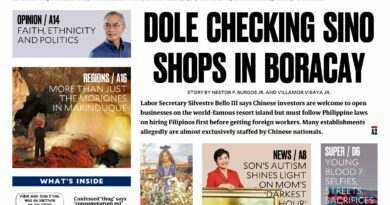 Jollibee, whose menu has been described by international media as eclectic, is also on a shopping binge, scouring the food industry for more opportunities. Just recently, it purchased 47 per cent of Tortas Frontera for US$12.4 million (S$17 million) to grow the Mexican fast-casual chain in the United States. It also forged a deal to bring in Panda Express, the largest Chinese food chain in the US, to the Philippines. Mr Tanmantiong admitted that plans to purchase Britain’s Pret A Manger, an upscale sandwich chain, would no longer be pushed through. 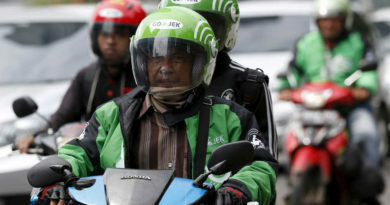 Priced at US$1 billion, the takeover would have been one of the biggest by a Filipino firm. “We haven’t even reached the bidding stage. They had their own plans. 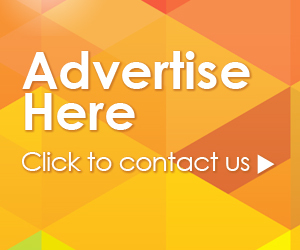 They were talking to parties but they went public on their own,” he said. But there is no stopping Jollibee. Mr Tanmantiong said they wanted to acquire more brands, focusing on the Philippines, US and China. “It depends on three criteria: the brand should have a superior product, the potential size of the market is big enough because we want to scale it up, and it has to be in the fast-food or fast-casual segments,” he said.